People keep asking me about the food here. It is, after all, world famous. I have to say the Cajun spices agree with me and I do enjoy it. I've also been enjoying some things I've never had before. For instance tonight I just had some squirrel. I didn't even know you could eat something so small and cute but I was proved wrong when someone brought Squirrel Jambalaya to dinner. I have to say it was pretty darn good meat. I would consider it something like dark chicken meat. The only thing that bothered me was that I was unsure of where the bones were. When I eat chicken I have a pretty good idea of where to bite because I know where the bones are but I was totally unsure of where it was safe to bite into and where it wasn't. One wrong bite and I could get a neck full of squirrel bones. Anyways that's my squirrel experience. 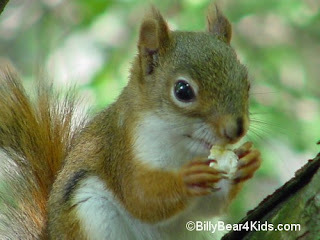 Here's a pic of the animal in case you had a hard time envisioning a cute rodent getting turned into spicy stew.